Leo Records founder and owner one-time professional high-jumper Russian Jew and former Soviet Union-immigrant to Israel and later to Britain Leo Feigin (real name Alexey Leonidov) made his name in early 80s releasing Soviet underground artists recordings in the West (many of materials were collected by him during his visits of former homeland and illegally crossed "Iron Curtain" since such kind of music never has been legal in Communist Empire. His biggest success were very first releases of Lithuanian Ganelin Trio, who at one moment became hottest collective coming from Eastern part of Europe, or even from all Europe (on the wave of upcoming "Perestroika" - are someone around who still remember what does it means?). Established in UK in 1979, the label later became a prolific producer of avant-garde jazz albums from all-world artists.With big respect for Leo's (the man and the label) activities on early stage, I personally have been quite often disappointed with their releases. Working exclusively with already recorded materials,Leo releases lot of music (very often recorded by well-known artists)using it just "as it is" - without serious editing,with very varied sound and mix quality,etc. All these collections of out-takes,rehearsal and concerts board-recordings often have importance for collectors,but can disappoint fan searching for well recorded valuable album. Still sometimes Leo brings as music which would be hardly released anywhere else, and part of it is really valuable. "Triotone" is one of such albums, unique trio live recordings, coming from small place (even not a town - just village) in Vojevodina,Northern province of Serbia. After-Yugoslavian Serbia is hardly a jazz-heaven, even if there exists some regular jazz festivals and few bigger jazz concerts happens every year(as rule its are fusion or more mainstream jazz you can here there). At the same time in Kanizsa (or Magyarkanizsa,how local Hungarian minority call this place) year after year some world-level advanced jazz grands come to play on annual fest,organized by local Hungarians,most Western-oriented nation in all Serbia. Even if one of living legends sax player Anthony Braxton is stated as trio's leader (what is understandable from marketing point of view), this album is mostly Hungarian pianist and composer Gyorgy Szabados brainchild. Being almost unknown outside of his home-country,Gyorgy(who passed away in 2011) was Hungarian piano avant-garde god-father. Classically trained,he combined in his music so characteristic for Hungarian musicians Bartok-influence with European free jazz tradition and Transylvanian folklore roots.All music on this album (including 32-minutes long opener Trioton) is written by Szabados (and differently from many free jazz mostly improvisational recordings music here is really composed).Gyorgy plays his trademark technical but lyrical piano sounding close to chamber music. 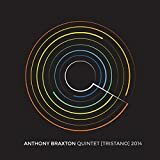 There is no need to introduce Braxton - but this album has some exclusivity touch: during many years if not decades one can hardly find any recordings where Anthony doesn't play as leader, and even more - play music,composed by other musician. 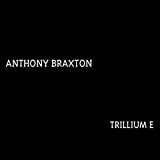 All that one can find on "Triotone" and it's really very interesting how Braxton sounds as sax player - collaborator. If Szabados and Braxton already had one album,recorded together some years ago, former Ganelin Trio's drummer Vladimir Tarasov is new person here. His after-Trio career has been divided between drummer's seat in Lithuanian Symphonic Orchestra,teaching in Vilnius Music Academy and developing multi-genre audio-visual installments art, still with regular playing in different (usually one-event) jazz-projects of untypical format. Vladimir made Vilnius his home when I was 5 (born and living in same town), since that time I had perfect possibility to evidence his musical development during bigger part of half-century. From Ganelin's Trio free-jazz drummer he became free improvisational artist with unique his own techniques,which are not always all that related with jazz tradition.Here on "Triotone" he plays almost same music what he plays when illustrates cinematic video-installations in Modern Arts Center in Vilnius - quirky free-form but very fragile rhythmic soundscapes,which not always fits well to Braxton/Szabados quite massive musicianship, but from other hand with no doubt works as very surrealistic decorations. Musically, album is based around it's opener - 32-minutes long Szabados "Trioton" suite, well-composed in Gyorgy's Bartok-plus-Magyarfolk manner, quite chamber,lyrical and melodic,with dramatic touch.Still Braxton's surprisingly fresh and active sax improvisation over piano sound and mega-layered Tarasov rhythmic constructions decompose suite making it a composition of avant-garde jazz, not chamber piece anymore. Four rest compositions (little more than 20 minutes long both together) are just nice miniatures adding some accents but has no chance to overweight concert's opener. Recorded sound is quite good (as for filed recording),Szabados piano playing is one of his top. Braxton sax soloing takes less that everyone would like to have, but he demonstrates excellent form on its. Tarasov's drumming doesn't always really fit,but his originality compensate it.In all - really interesting work, partially for Braxton "jazzy" side fans, but even more for those who can find out for themselves such possibly new names as pianist Gyorgy Szabados and drummer Vladimir Tarasov. Any good review of an Anthony Braxton album should begin with a diatribe about how under appreciated and under-rated he is, and this review will be no different. After the passing of the Coltrane/Dolphy generation, Braxton should have been next in line for “jazz legend” due to his abilities as both a composer and performer, but people were put off by his preppy collegiate appearance, and his oblique song titles and presentations that didn’t fit the mainstream or the ‘in crowd’ of the avant-garde either. Unfairly, Braxton was labeled as overly intellectual, and his music was considered cold and academic. Certainly there is a very intellectual side to Braxton’s music, and he can easily work in contemporary concert hall mediums, but there can also be a lot of humor in his music, as well as deep down to earth blues roots. From crazy bar room gig to Stockhausen, its all here. “New York/Fall 1974” was a fairly high profile album for Anthony in that he would be given bigger distribution than usual for an avant-garde jazzist. His career was on a bit of a roll at this time and he was releasing very creative albums that baffled everyone with their song titles that featured odd geometric diagrams, hence all the tracks on here are referred to by their track numbers. Side one consists of three very bizarre hard bop numbers, with the first being the best with its crazy repetitive melody and high energy free middle section. All of these tunes sound like nobody else, with latter period Eric Dolphy being one possible reference. Side two gets more into Braxton’s ‘concert hall’ approach. The first track is an excellent duet with Richard Teitelbaum who plays an old analog synthesizer. Before synthesizers became commercially viable and tunable, they were magical bundles of barely controllable oscillators and filters that were used for some very creative sounds by certain experimental composers. This track captures a rare period in experimental music that is hard to re-create anymore. The following track presents one of the first avant-garde saxophone quartets, an idea that would grow in popularity until there would be many successful modern saxophone quartets all over the globe. This track gets into repetitive notes that recall Xennakis’ stochastic music. The variety of music on here would be hard for anyone else to duplicate. On the first side Braxtion plays feirce alto sax like the second coming of Eric Dolphy, and on the second side we get successful concert hall electronics and a saxophone quartet with a lasting influence on the history of jazz. The members of the quartet that Anthony assembled on here; Hemphill, Lake and Bluiett, would all go on to play in other high profile quartets formed after the release of this album. Anthony Braxton is probably one of the most creative and prolific jazz composer/performers since Charles Mingus, but unfortunately, like many artists who are ahead of their time, he probably will not get the recognition he deserves until long after he has passed away. “Creative Orchestra Music 1976” is a great example of Braxton’s musical vision and also shows how varied his musical palate is. 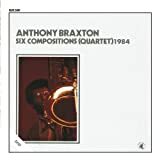 Early in his career, Braxton’s output was often criticized for being too much like European concert hall music, and there is certainly some of that dry ascetic music on here, but there is also lots of crazy swinging jazz and outright slap stick goofy cartoonish humor too. Braxton, with his ornate pipe and preppy scarves may have had the appearance of an upper crust New England professor (his style also alienated many in the jazz world), but much of his music has the soul and guts of classic rowdy barroom jazz, and when Braxton picks up the sax, he tears it up like few others since the passing of Eric Dolphy. This album was recorded during a time when Braxton was using diagrams as song titles (yet one more thing that upset folks), so its easiest to refer to the songs on this album as track one, or track two, etc. Track one is the high energy opener and sounds like early 40s big band swing on bad psychedelics. Phrases come and go at a furious rate and tumble on top of each other in a chaotic and humorous fashion. Braxton and others all supply great solos on this one. Track two involves structured improvisation that utilizes lots of quiet space around small pointed events. It’s a very effective piece and has a dry avant-garde concert hall sensibility that may remind some of Pierre Boulez’s quieter works. A little bit of tastefully restrained synthesizer from Richard Teitelbaum adds some nice colors to this one. Track three is probably the star of the show and is the main track that got everyone’s attention when this album first came out. This one opens with a Sousa type march and everything is all stars and glory and then all of a sudden the band gets stuck on a clumsy repeating rhythm and then here comes Leo Smith with a high squeaky trumpet solo, words don’t do all this justice, but its funny as hell. Track four returns to the concert hall vibe, but its hard to be too serious towards the end of this one when Braxton and Roscoe Mitchell’s growling bass saxophones sound like grouchy bears rummaging for food. Track five treats the music of Ellington to severe abstraction and sounds like Ellington and his crew are having a particularly difficult and angry evening. Lots of good solos on this one, particularly pianist Frederick Rzewski. Track six closes out the album with probably the most outside cut of all as the orchestra plays odd figures and Braxton squawks like an injured duck. This is the sort of avant-garde jazz that makes a lot of folks run for cover. This is one of the more creative orchestral jazz albums out there and will obviously appeal to fans of the avant-garde, but also people who appreciate the creative ensemble work of artists like Mingus or Henry Threadgill may find this one interesting too. Anthony Braxton's discography is so huge and a lot of his works are so quirky that for many he stays "known but hardly an accessible artist". There is some truth to such a point of view for sure, but any problem has a solution. If you are interested in checking out Braxton, but don't know where to start, or if you have already tried and burned your fingers (and ears), but are brave enough to try one more time, just start here! This is one of the best albums Braxton ever recorded and possibly the most listener-friendly one of them all. "Dortmund (Quartet)1976" contains four piano-less compositions recorded live. The line-up is an all-star one, which is not such a rare case for Braxton recordings, but here it really works. Drummer Barry Altschul and bassist Dave Holland demonstrate excellent rhythmic support, but the real star of the show is the Braxton quartet's newcomer, the then young trombonist George Lewis. His virtuoso soloing and almost telepathic feel for the other band members brings the music to the level of small magic. Fortunately the musical material is hard-bop based (with one marching composition), so one can expect tuneful and melodic listening. Try this Braxton friendly and sparkling work - it is very possible you will find his music to yourself (or refresh your love to his music once again). Recently the Tri-Centric Foundation released 26 so called “bootleg” CDs of the work of avant-garde saxophonist and composer Anthony Braxton. Don’t be fooled by the word bootleg because most of these recordings are of very high quality and show Braxton working in a wide variety of mediums from large orchestras to solo works. The album being covered in this review, “Composition, Improvisation, Synthesis”, can be listened to in its entirety here at JMA on our Anthony Braxton page. If this review has been copied and pasted on another site, then you can hear this album at tricentricfoundation.org or on the Anthony Braxton page at jazzmusicarchives.com. 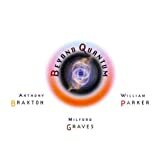 This CD contains a great collection of material that covers a wide variety of styles. The order of the cuts on here seems to be random with no particular attention to year of performance or style of music. Some might complain about this, but actually the constant variety helps keep this sometimes difficult music more interesting. Some of the music on here could become tedious if served up in larger quantities of sameness. 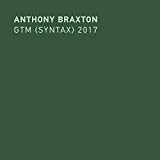 Much of Braxton’s music sounds more like avant-garde concert hall music rather than “jazz” as we would usually think of it. 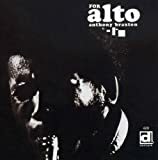 There were critics, earlier in his career, who said he was not playing jazz, but listen to the first track on this CD and you can hear Braxton playing furious hard bop, pushing the tune to the limits with crazy wide interval leaps and rapid fire runs that had him sounding like Dolphy taken one step further. Other interesting tracks on here include the second track where the instruments of the orchestra combine points of color to make a whole sheet of sound somewhat similar to a Jackson Pollock painting, and track five where its just Braxton on soprano and Max Roach on drums for a free jazz work out. Track seven sounds like an outtake from an opera with plain spoken words mixing with operatic vocals in a thick tapestry of sounds. On tracks eight and nine Braxton shows a humorous side with cartoonish music that sounds somewhat similar to “Out to Lunch”, only with musical figures that are even more petulant, childish and obsessive. A big thanks to the Tri-Centric Foundation for all this great music is in order. “Composition, Improvisation, Synthesis” is much more than just avant-garde jazz, this CD should appeal to fans of avant-garde music in general as well as people who like “outsider” music. 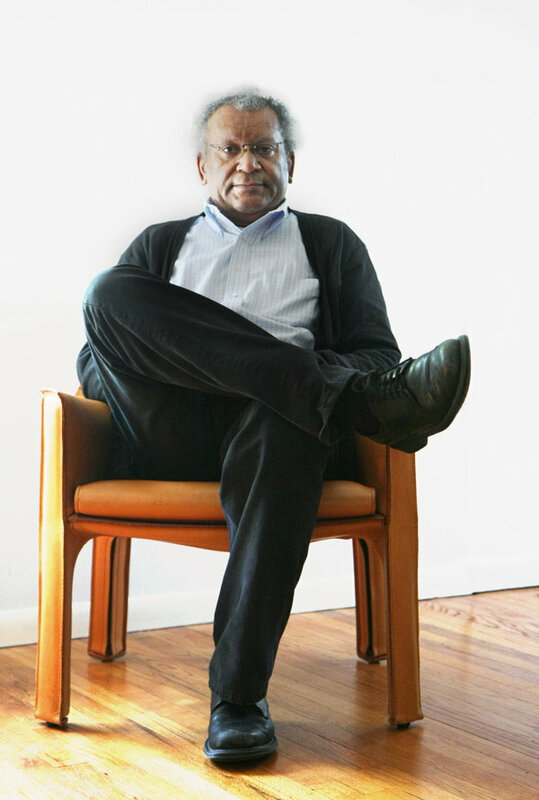 Anthony Braxton is one of the great talents of our time whose legacy will probably grow over the coming decades. No ANTHONY BRAXTON movie reviews posted yet.